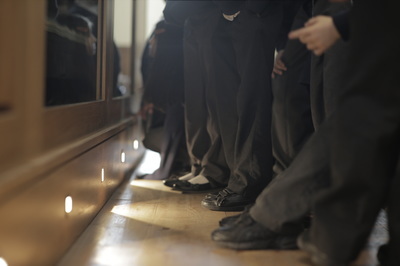 1,065 children visited from 14 local schools over the course of the project. 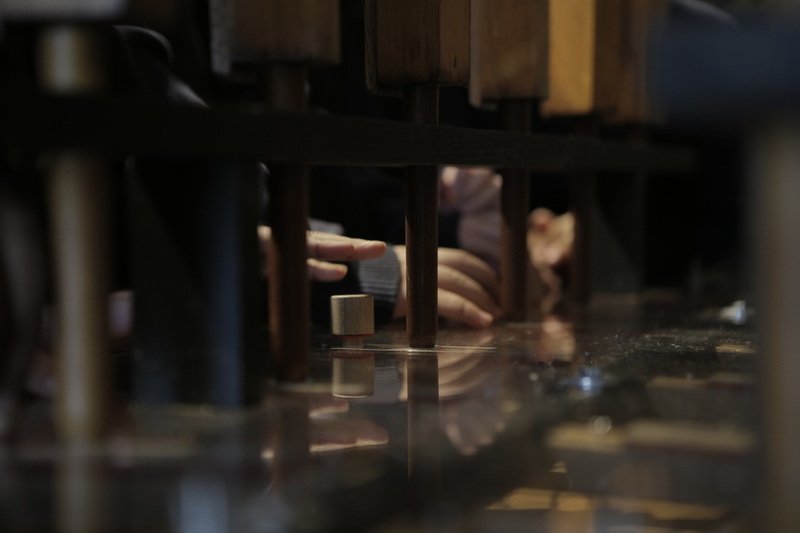 More details are available below. 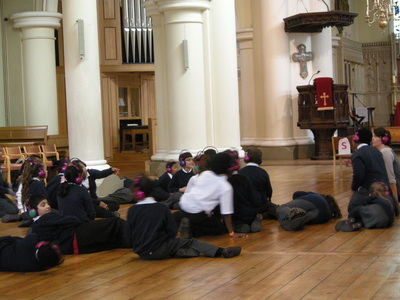 We held several workshops for children before the organ was taken away for restoration. The children were shown the different parts of the organ, and had a demonstration of what it can do. They were able to experience first-hand the many problems that the organ had at the time. 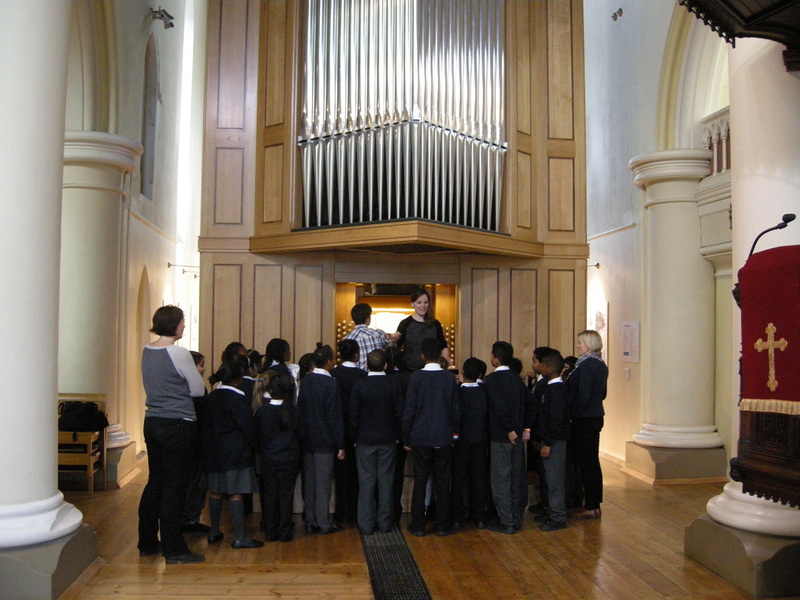 Children from local primary schools have been taking part in Woofyt (Wooden One-octave Organ For Young Technologists) workshops. 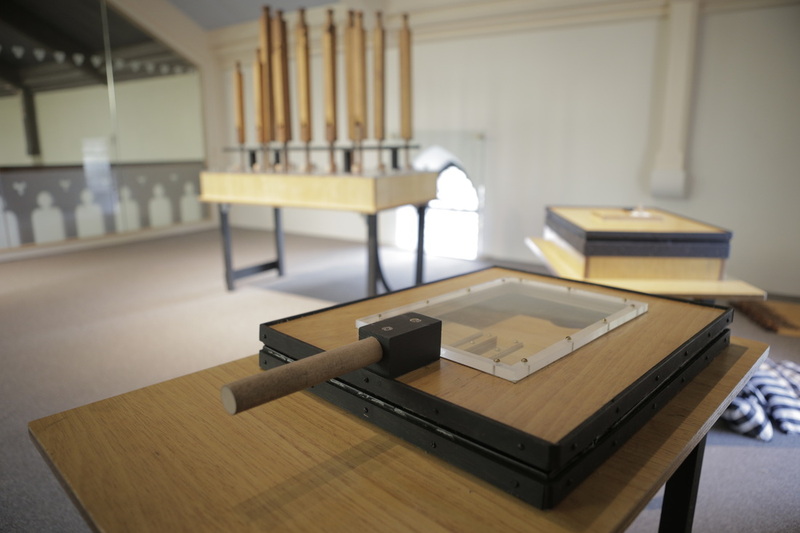 The Woofyt is a piece of equipment that includes a pump, blower, and several pipes, which gives children an understanding of the workings of an organ. 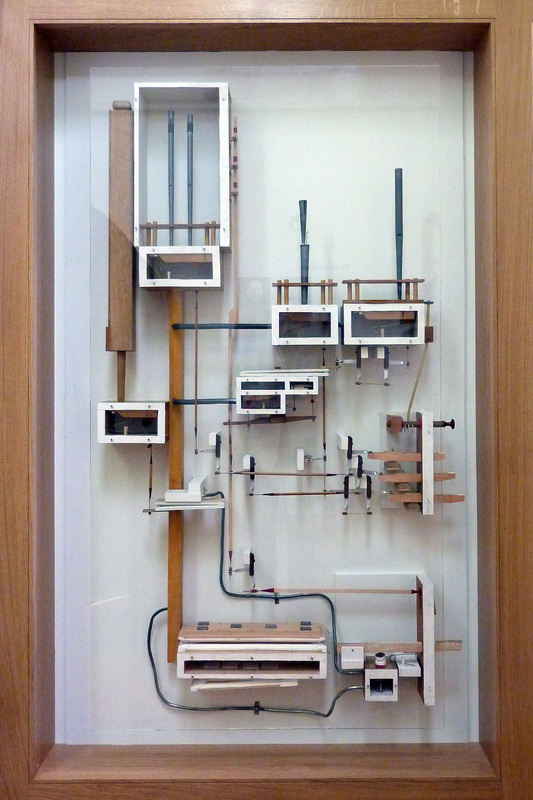 It is interactive, whereby the children push on the pump and blowers, whilst creating music on the individual pipes. 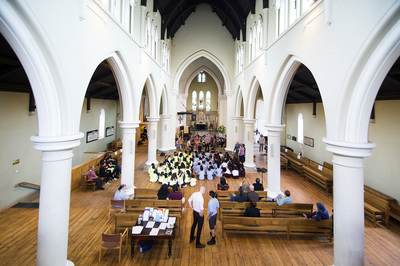 Over 200 primary school children visited St John's to learn about the organ's connection with William Wilberforce and the abolition of the slave trade. 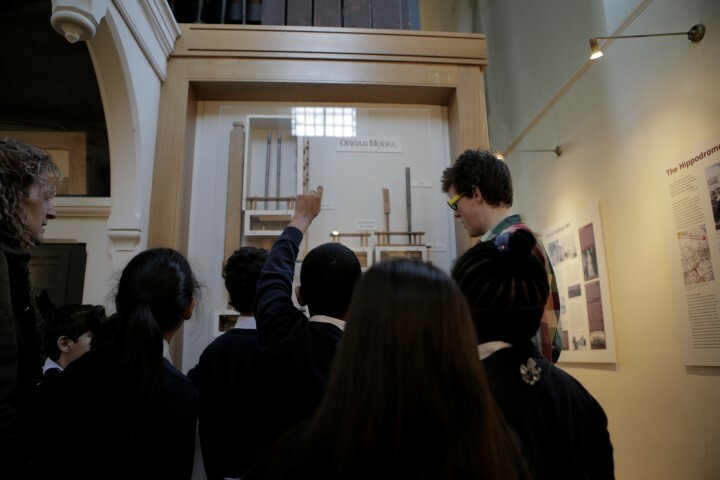 The children firstly took part in a Now Press Play workshop, where they experienced what it would have been like to have been a slave. In a Now Press Play workshop, participants put on wireless headphones and act out the story the story of a character, in this case, an African girl bought and sold into slavery in the 19th century. During this immersive experience, the slaves eventually escape and go on to meet William Wilberforce in the UK. 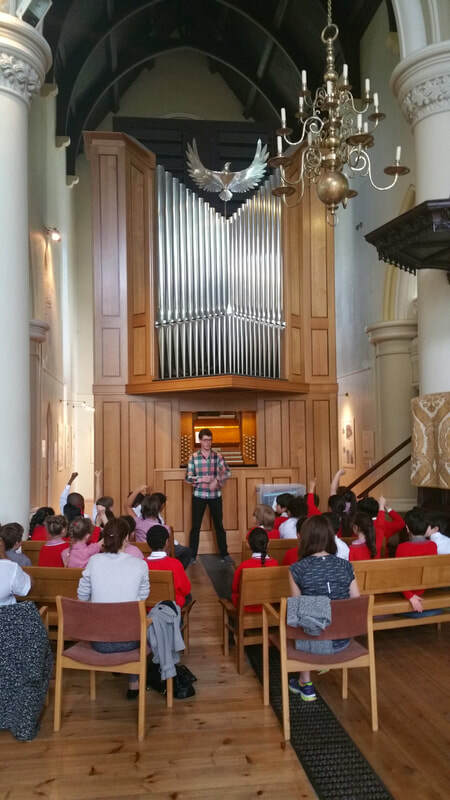 After the Now Press Play workshops, the children learned about the organ, and sang whilst being accompanied by the organ, having understood that William Wilberforce also sang accompanied by the organ 200 years previously. They sang the spiritual Go Down Moses, which has significance because it was commonly sung by slaves to lift spirits and imagine freedom. 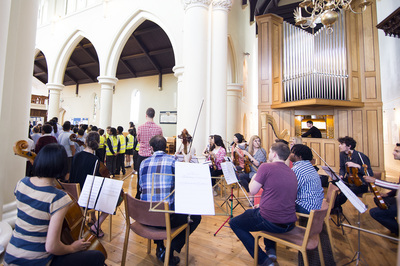 In May 2014, 170 children visited from local primary schools to learn about how the organ emulates the sounds of the instruments of the orchestra, and to sing together a new piece of music with the organ called 'Wishes'. 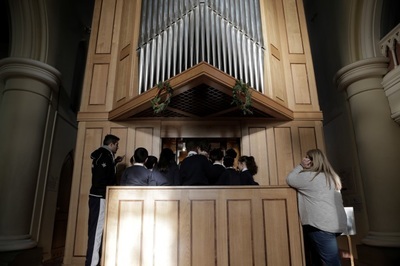 In the first half of 2015, 300 children from 6 primary schools visited to take part in workshops with the organ and the organ model., learning about music, physics and history. 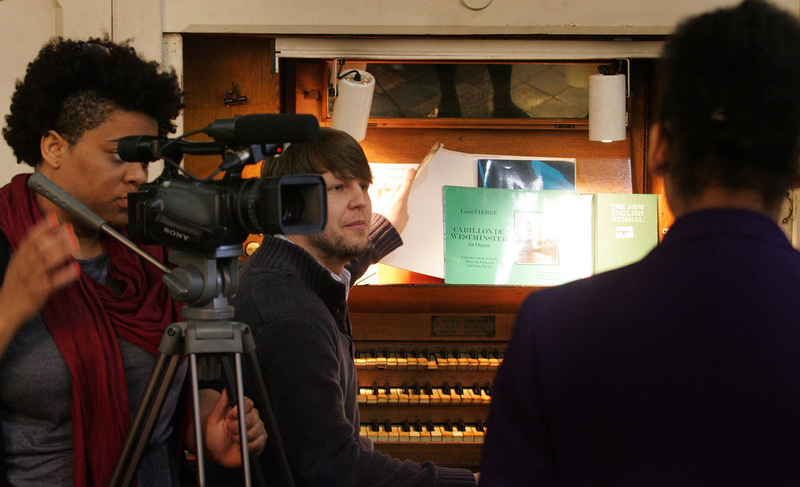 Animation showing history of organ and local area - for schools. Click below to play.